It's almost that time of the year again, when the whole world comes together to witness the Superbowl of pro wrestling and the greatest spectacle in sports entertainment, WrestleeeeManiaaa!! The 35th WrestleMania event will kickoff at MetLife Stadium in East Rutherford, New Jersey. New records could be made or broken, and there's a lot of things to expect. An astonishing 17 matches are rumored to take place at the event. WrestleMania IV currently holds the record for the most matches in WWE history. 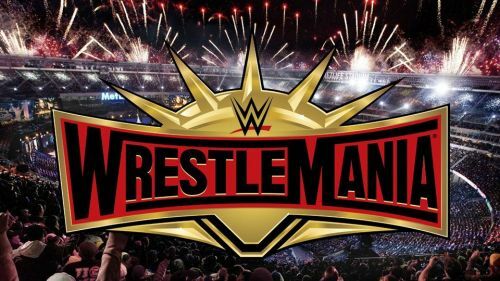 16 matches took place at the PPV, and WrestleMania 35 could excede that number. As they say, WrestleMania is where streaks are made and streaks are broken, and history will be made this very night. Get ready folks, because in a few weeks, you will witness the ultimate thrill ride and the Showcase of the Immortals. There's a lot of things to expect at the Show of Shows, but right here we will list five. WrestleMania is the biggest pro wrestling platform in the world where superstars get to showcase their skills and capabilities worldwide. Throughout the history of the PPV, we have lost count as to how many twists and turns we have seen occurring at the event. The most recent one was last year when Shinsuke Nakamura shockingly hit AJ Styles with a low-blow after their match. After Styles defeated Nakamura to retain the WWE Championship, Nakamura proceeded by displaying great sportsmanship when he knelt down to hand AJ Styles his title. What happened next was so unexpected. The two continued their feud after WrestleMania but Shinsuke's heel turn was so like WrestleMania, where things like this usually occur.